Jeremy Clarkson, old man who once had a travel show about stereotyping Dutch people and other European nationalities, just actually’d the guy who broke the sound barrier. This is the amazingly dumb Twitter fight I needed today. This all began with Chuck Yeager, the guy who strapped in to an orange bullet with a rocket on the back and said what the hell let’s see what happens, chimed in on Twitter to be his usual self. Basically, here’s some cool supersonic history stuff all of you might enjoy. Thanks, Chuck. 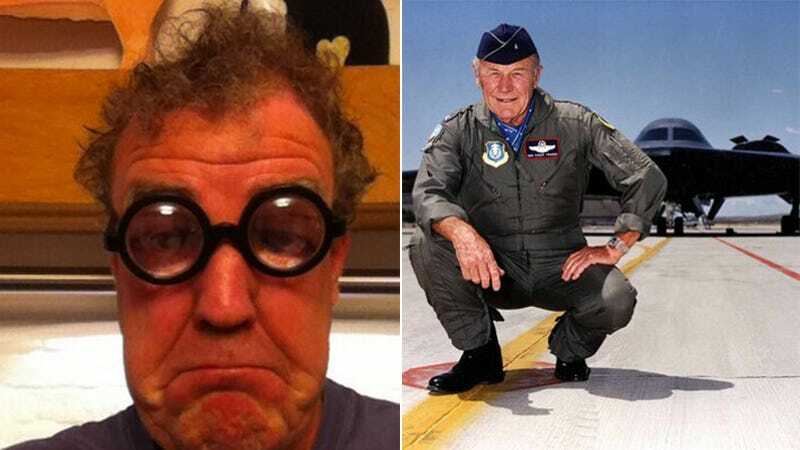 This was not taken well by Clarkson, and he could not let Chuck Yeager have this one. I can’t say that I’m an expert on any of this, but I did get a degree in history studying the history of technology. It’s a fascinating field, and going over it is always illuminating and interesting. But I know from experience that the one thing you do not want to do is try to argue who or which individual is responsible for what first, as everyone disagrees and misunderstands and everything gets extraordinarily messy. Perfect for Twitter, at least.